A daredevil Frenchman broke a speed record last week on a rocket-powered bicycle that reached 333km/h, CBC News reports. 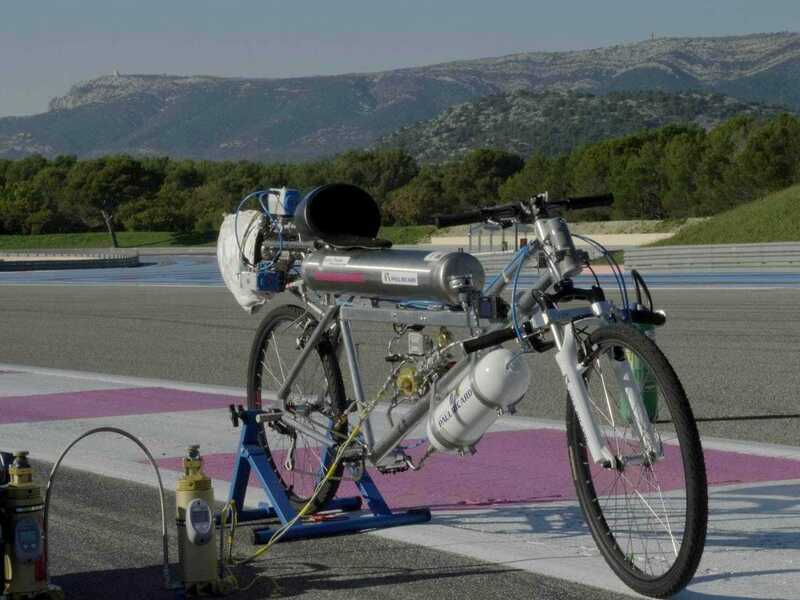 The rocket was powered by hydrogen-peroxide and strapped to the back of an elongated bicycle. 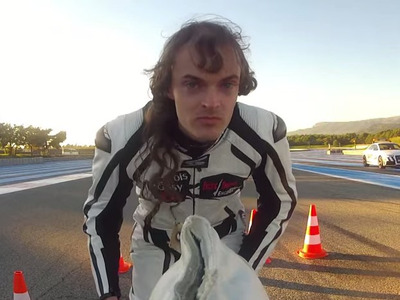 François Gissy, 32, recorded the highest speeds ever on a rocket-powered bicycle, leaving a Ferrari in the dust in tests at a French racetrack. The bike was able to reach top speed in just 4.8 seconds, according to CBC. Bloomberg posted video of the bicycle in action. The bike takes off at an extremely fast speed.